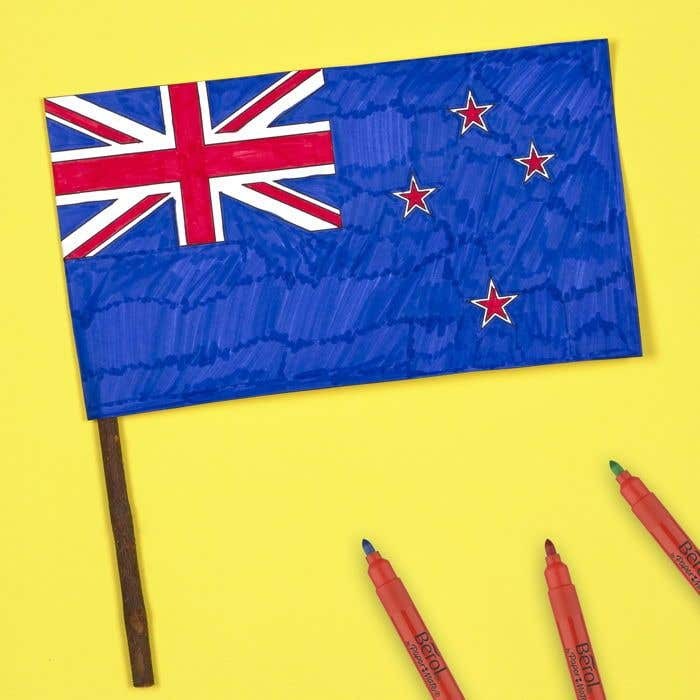 Download and print the New Zealand flag onto white A4 copier card. 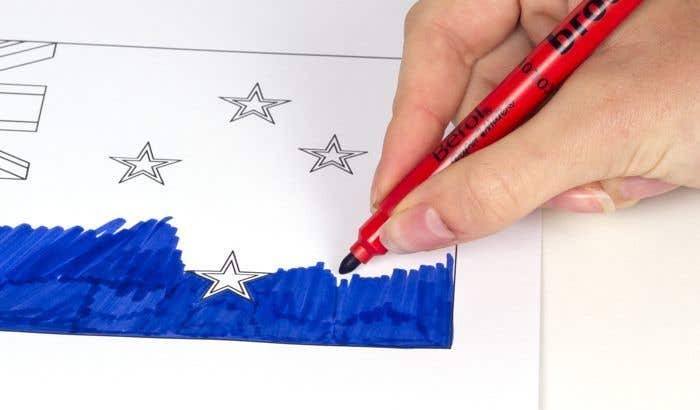 Use a blue felt tip pen to colour in the background of the flag. Use a red felt tip pen to colour in the cross and the middle of the stars, leaving the other sections white. 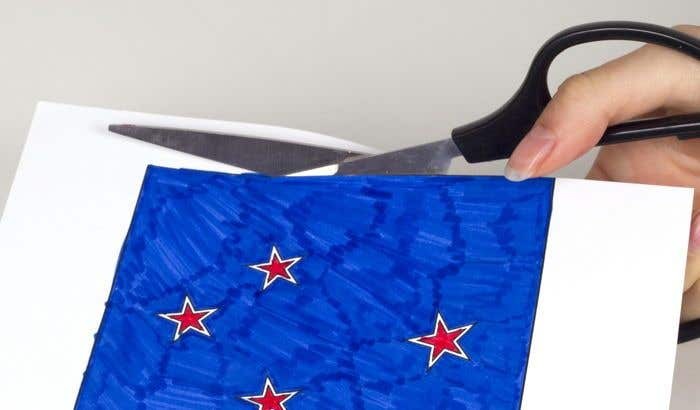 Once the pen ink has dried, use scissors to carefully cut out the flag. Fold along the line on the left hand side of the flag, creating a small flap. 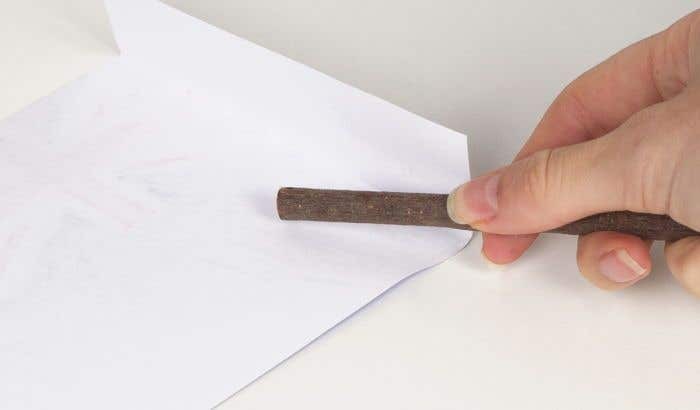 Use double sided tape to wrap the flap around a willow branch, creating the flag pole. Wait for the printer ink to dry before colouring to prevent smudges.